"This is a quick replacement meal!" Mix aloe vera juice and oats together in a bowl; set aside until oats have absorbed the liquid, about 10 minutes. 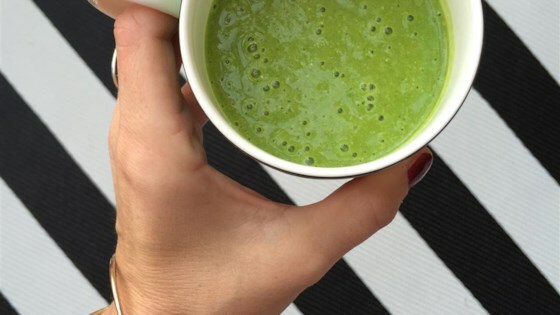 Blend oat mixture, spinach, kale, chard, banana, cucumber, blueberries, protein powder, cinnamon, and cayenne pepper together in a blender until smooth, about 2 minutes. I subbed coconut water for the aloe vera juice since it was way to expensive to try just once. A Vitamix would be perfect to blend smooth. This is a great drink! The aloe turns it into a super cleanse. The portion is huge, though. Just cut it in half and you'll be able to finish a 16 oz drink.